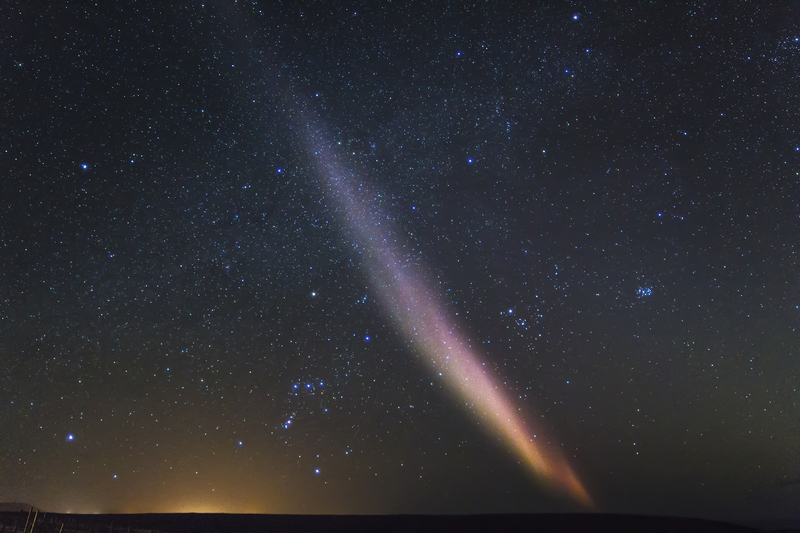 Last night, for the very first time for me, the phenomenon known as STEVE (Strong Thermal Emission Velocity Enhancement) appeared on the western skies, dancing for about half an hour in front of my eyes, on the left of the main aurora borealis arch. An ever-changing tornado, with violet tones, always in movement, always with different shapes! There is not a picture when the details are the same compared to the previous or the next one! Another wonder of Nature!